Lake of the Woods is a pristine wilderness lake with over 65,000 miles of shoreline. Its crystal clear blue waters are studded with nearly 14,000 islands. Only a few places feature wide expanses of open water, most of the lake consists of narrow channels, large islands and long bays. The lake's fish species include walleye, northern pike, muskie, smallmouth bass, lake trout and yellow perch. Lake of the Woods is heavily populated with walleye, which is the prime fish sought by anglers. 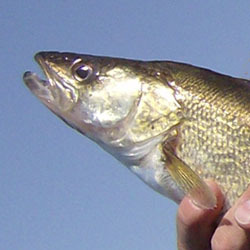 Walleye are literally everywhere in the lake, limits are easily obtained with many conventional fishing techniques. In spring, pre-spawn walleye congregate at the mouth of Rainy River and in the river near Franz Jevne State Park. Bait fishing proves to be an excellent tactic. Shad-raps baited with crawlers is a great combination along with trolling in the sand dragging leeches. In summer & fall, the South Shore is full of walleye. Some of the best spots are at the Morris Point Gap, out by the red buoy, and by Lamertson's Rock. Most fish are caught in 10 ft-11 ft of water over rock bottom. The best bait to try are leeches and crawlers with a hammered gold spinner. Fishing is also excellent in the Northwest Angle & Islands, reefs in 19-20 ft of water are the prime hotspots. In winter, anglers can ice fish to their hearts' content in the South Shore for walleye and sauger during the day or all night long. They can also add variety by checking out the hot northern pike action in tip-up and spearing houses. Rainy River also boasts a fantastic fishery, with many icehuts available for winter anglers. 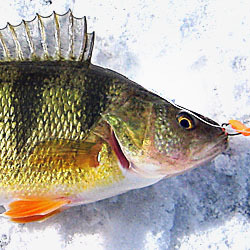 For more ice fishing information visit Ice Fishing Lake of the Woods . Noted for its abundance of muskie and numerous world class trophies, Lake of the Woods still proves to be one of the best waters for trophy muskie fishing. The muskie action picks up in late summer and early fall, with most anglers concentrating their efforts in the Northwest Angle and Islands. Lake of the Woods Northeast (includes Kenora, Ray Portage Bay, Witch Bay, Andrew Bay, Yellow Girl Bay, Sunset Channel, Bigstone Bay) Lake of the Woods is a premier fishing destination, and this map includes Kenora, Rat Portage Bay, Witch Bay, Andrew Bay, Yellow Girl Bay, Sunset Channel and Bigstone Bay. Walleye, smallmouth bass and musky lead the way, but this fishery produces good numbers of northern pike and yellow perch too. Lake of the Woods Northwest (includes Clearwater Bay, Labyrinth Bay, Monument Bay, Ptarmigan Bay, Big Narrows, Bishop Bay) This map details Clearwater Bay, Labyrinth Bay, Monument Bay, Ptarmigan Bay, Big Narrows and Bishop Bay. Walleye, smallmouth bass and musky lead the way, but this fishery produces good numbers of northern pike and yellow perch too. Lake of the Woods Southeast (includes Sabaskong Bay, Nestor Falls Whitefish Bay, Sioux Narrows, Regina Bay, Long Bay, Lobstick Bay, Miles Bay) Lake of the Woods' tremendous fishing makes this a popular destination for anglers. Most fishers come for the quality walleye, smallmouth bass and musky. This map includes Sabaskong Bay, Nestor Falls Whitefish Bay, Sioux Narrows, Regina Bay, Long Bay, Lobstick Bay and Miles Bay. Lake of the Woods Southwest (includes Big/Little Traverse Bay - Ontario/Minnesota) This map covers everything anglers need to know about the Southwest area of Lake of the Woods around Big/Little Traverse Bay, Ontario/Minnesota. Walleye, smallmouth and musky attract big-time attention. Rainy Lake North (includes Redgut Bay, Manitou Sound, Northeast and Northwest bays) Resting on the Minnesota/Ontario border, Rainy Lake boasts large numbers of walleye in addition to being a premier smallmouth bass fishery. This map details Redgut Bay. Each detailed map provides depth, contours, structure, boat ramps, and updated fishing information. Lake of the Woods fishing maps also include lake info such as gamefish abundance, forage base, water clarity, weedline depth, bottom composition, complete latitude/longitude grid lines and dozens of GPS waypoints & coordinates.